Several years ago Kenny Chesney released a song titled I Go Back that was about hearing songs that immediately take him back to certain times in his life. I'm not a huge fan of the melody, but I love the lyrics ... they have the ring of truth for me and, I'd imagine, most everyone. 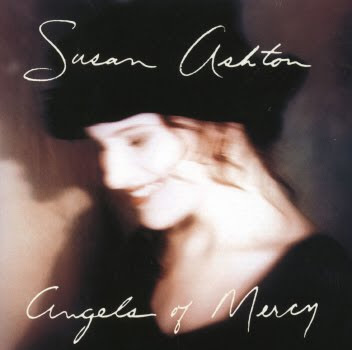 Grand Canyon, Susan Ashton - Takes me back to my sophomore year of college, sitting in my dorm room with my roommates Lisa and Honor, listening to that song and singing our brains out. I remember Honor's "cutting-edge" black stackable stereo that sat in the corner and loading many a Susan Ashton CD into it to accompany our homework sessions, just before we huddled up together on the tiny loveseat and chairs to watch thirtysomething. 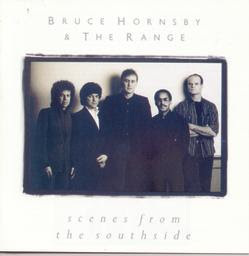 The Show Goes On, Bruce Hornsby - First of all, I love almost everything Bruce Hornsby ever recorded that sounds like Bruce Hornsby. Meaning, I'm not a big fan of some of the things he recorded that were a big departure for him, but Songs from the Southside and The Way It Is are two of the best albums in history, ever, forever, for me. I loved this song BEFORE it was featured in the Drill Section of Backdraft, but I loved it even more once I had that film in mind when I heard it. Opie, we are all forever indebted to you for Backdraft. Separate Lives, Phil Collins & Marilyn Martin - My sister and I had this one on vinyl, and we'd play it at top volume on the record player until my parents' ears practically bled. My sister was usually Phil and I was usually Marilyn, because she was an alto and I was a second soprano. It's critical to choose the duet part that is closest to your natural register, you know. Trivia: When I was fact-checking this with my sister last night, I e-mailed her "So you BUILT that wall | Built that WAHH, AHH AWWWL ..." and she e-mailed me back "And you make it stah-rong-aaaaaaaaaaaaaaaaaaahhhh ..." YEP. WE'VE STILL GOT IT. 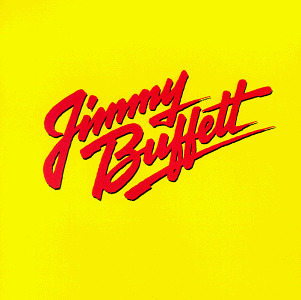 Fins, Jimmy Buffet - I bought Jimmy's Songs You Know By Heart album because all of his songs -- but Fins in particular -- remind me of playing Rummy in the den with my parents when we lived in Raleigh in the '80s. Dad would put that record on the player and we'd rock out to it while matching up our face cards for the win. And P.S., if you don't own Songs You Know By Heart, download it today. It's guaranteed to put a smile on your face. You're Gonna Miss Me When I'm Gone, Brooks & Dunn - This one reminds me so much of our honeymoon in San Francisco in 1995 ... we spent a lot of time in the car exploring the coast and then heading inland to Yosemite (where we both got the flu, by the way). This B&D song was in HEAVY rotation on the radio, and since we weren't familiar with the stations out there, once we found a decent one we stuck with it for a while. 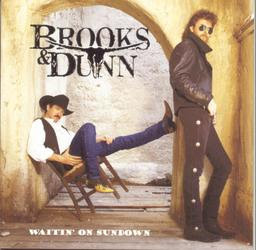 Before there were all these cute young girls on country radio, there was Brooks & Dunn. They were the Taylor Swift of the '90s. Funny side note: Before I listened to country music at all (meaning, before college), my sister went to see Brooks & Dunn in concert. When she told me who she was going to see, I asked, "Who's Brookson Dunn?" I had no idea. I just thought it was one guy. Because I am apparently completely incapable of using two sentences when I have the space to write 20, this has gotten MUCH longer than I intended it to be. So I think I'll stop here for tonight and give you the other five songs next week. In the meantime, what songs take YOU back? I don't remember that Brooks & Dunn exchange at all--I do remember going to see them with Daly and his girlfriend at the time. Funny. I will have "Separate Lives" in my head for the next week, because it's been in my head since last night when you emailed me. I remember that Susan Ashton CD too! It was so fun reading your post! I love Jimmy Buffett too because he is my Dad's favorite and it reminds me of him. He used to take my sisters and I to his concerts when we were all three little. Love your blog, oh my word, three boys! Love it! Loved your visit and kind words today :). Blessings! Amy, my parents took us to a Buffett concert when we were little, too, and I remember it was a lot of fun. I'm so glad you dropped by!